This super fabulous necklace boasts a glorious array of turquoise colors all in a single 18" strand. 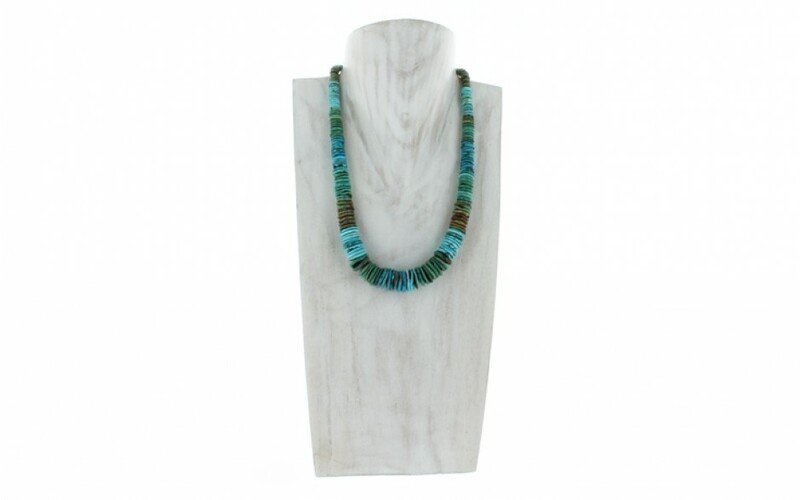 We have taken Kingman turquoise and fashioned discs in various sizes and strung them in a graduated silhouette. 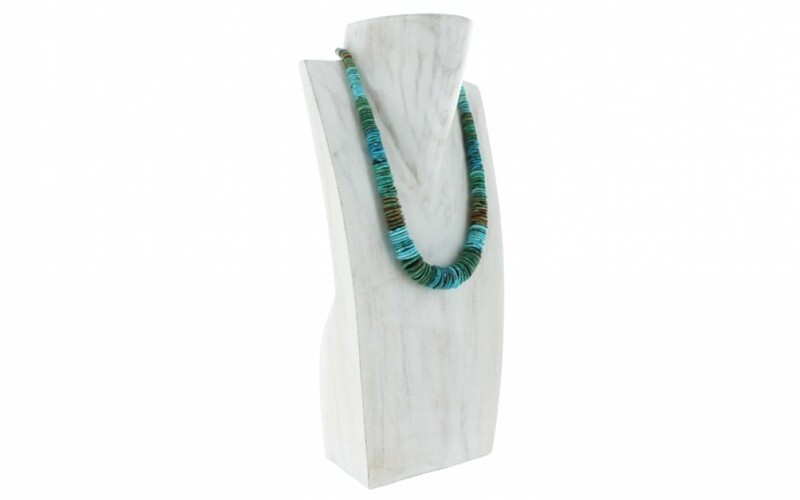 The colors span from baby blue to dark blue, green and brown. The discs were strung in-house here in Albuquerque. 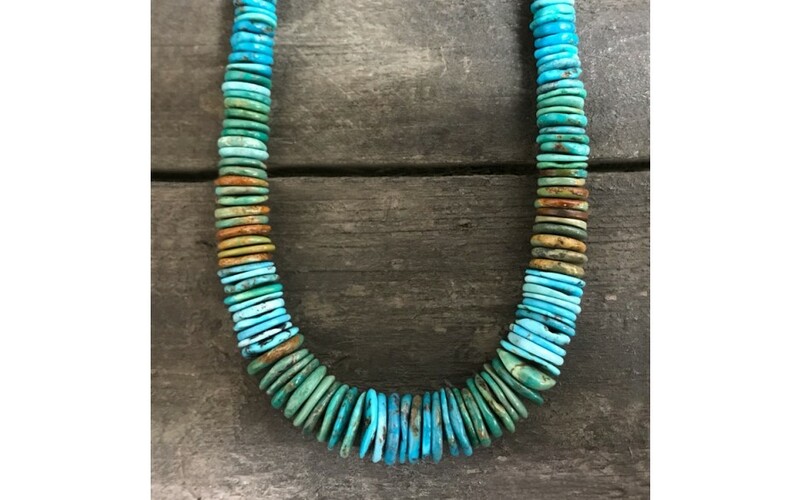 The quality of the turquoise is unsurpassed-- and it shows! The largest disc measures 15mm x 5mm and the smallest disc is 5mm x 2mm. 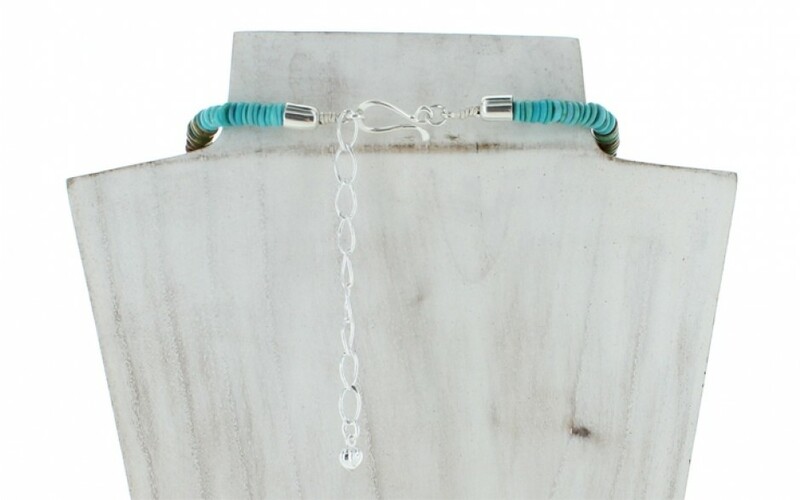 The turquoise was mined in Arizona and the silver was mined in the US.